Posted by Jon in News, Rescued on Saturday 19/01/2019 16:34 UTC. Meet Weebo, he has recently come in to the sanctuary. His story is one we hear far too often, a person who bought a so called “micro pig” which has now grown too large. 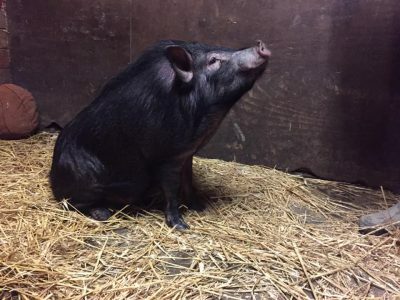 Weebo is only 10 months old, he’s actually small for a pig, he has a few more years of growing to come. 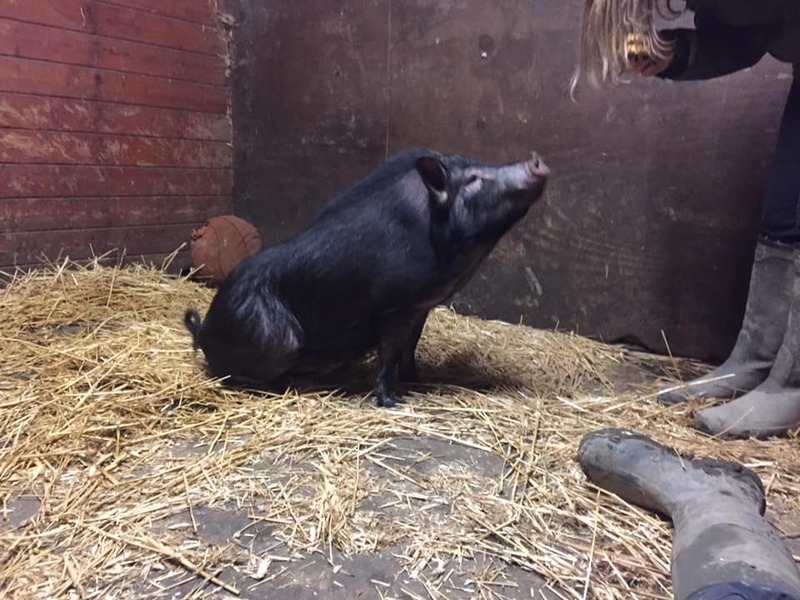 Weebo was a much loved house pig, he’s now living in one of our stables as he’s recovering from being castrated. 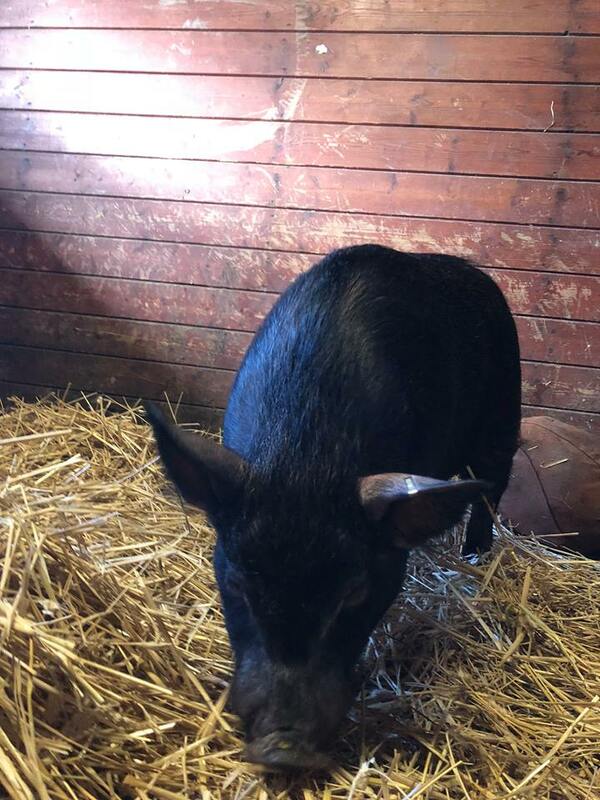 Like all pigs, he’s very clean and clever, he will sit for his food! He’s a proper little character. There is no such breed as a micro-pig, the term in a sales gimmick used by some breeders and sadly many people get caught out. 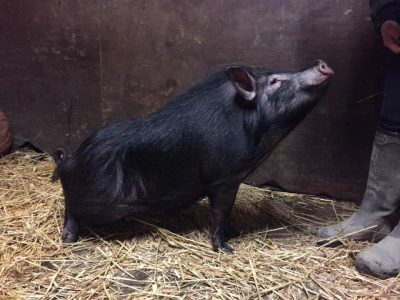 Breeders adverts often show piglets, sometimes next two large tea cups to make them look small, there’s no mention that they are only a few days or weeks old and have loads of growing to do. Most of these will grow to around 150kG. The majority of breeders are driven by profit and don’t educate prospective buyers of the challenges of pig keeping. A few months down the line we then get the call to see if we can take them in. In 2018 we rehomed 7 pigs, in the same year we had to turn away over ten times more, 78. Weebo will soon have a new name and once infertile through castration, he’ll be introduced to Betty, another young pot bellied pig, so he can live happily with a girlfriend and look for a forever home.